Present Thanjavur district composites Thanjavur, Kombakonam and Pattukottai division. which includes Thanjavur, Orathanadu, Thiruvaiyaru, Bhudalur, Kumbakonam, Papanasam, Thiruvidaimaruthur, Pattukottai, Peravurani Taluk. It consists of 50 Firkas and 906 Revenue Villages. The National e-Governance Plan (NeGP) of the Government of India aims to make all Government accessible to the common man in his locality, through Common Service Centres (CSCs) and ensure efficiency, transparency and reliability of such services at affordable costs to realize the basic needs of the common man. The main goal of e-Governance is to integrate information across difference departments in the Centre, States and Local Bodies. The State Service Delivery Gateway (SSDG), a core component in e-Governance infrastructure under the National e-Governance Plan (NeGP) shall simplify this task by acting as standards based messaging switch and providing exchange of data across departments. eDistrict is a State Mission Mode Project under the National e-Governance Plan. e-Districts are the de facto front-end of government where most Government-to-Consumer or G2C interaction takes place. 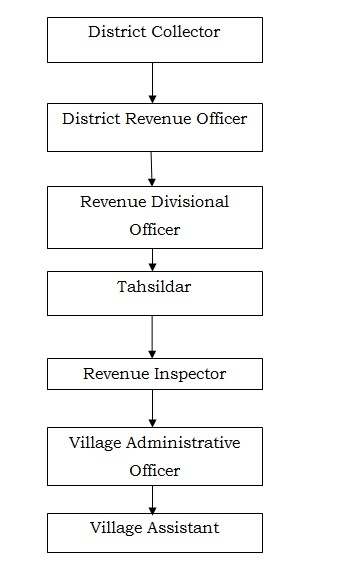 To improve this experience and enhance the efficiencies of the various Departments at the district-level, e-District project was envisaged to enable providing of integrated and seamless delivery of citizen services by District administration through automation of workflow, backend computerization and data digitization across participating departments. e-district is one of the 44 mission mode projects under National e-Governance Plan (NeGP). Online services are provided to the public through Common Service Centres (CSC’s). District Collector Office Public Information Officer/ Personal Assistant of District Collector(General).